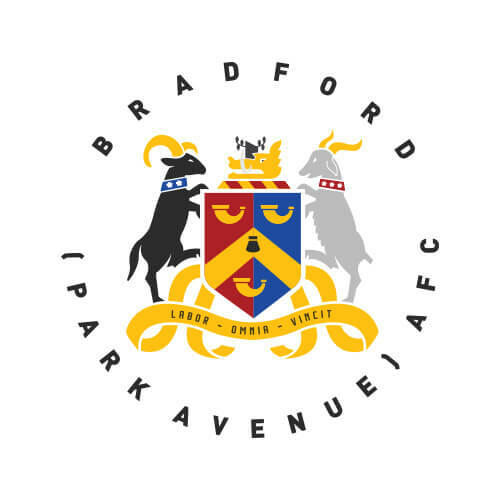 Bradford Park Avenue made it eight games unbeaten as they clinically dispatched of Southport in the Emirates FA Cup. After a slow start during which the hosts hit the woodwork, Avenue took the lead through Adam Boyes after a good move through him, Wayne Brooksby and Oli Johnson. Johnson then added a second a minute later with a well-taken volley from Graham Kelly’s cross, and just after half time Bradford sealed the win as Boyes turned provider for Javan Vidal to notch his first goal for the club. It served as retribution for Mark Bower’s men as they fell to a late 2-1 defeat in the first home game of the season against Southport. However it was the hosts who started the game on the front foot, Jack Sampson hitting a curling strike from range which Steven Drench had to palm away on the stretch. Then Southport hit the post as Sampson found Nathan Lowe who took a strike from a similar distance, his effort striking the outside of the post. Bradford had a couple of corners which came to nothing before they took the lead in the 17th minute. Boyes chased down a long ball which looked to be heading out of play, and after an exchange of passes with Brooksby the winger cut back for Johnson, who layed the ball off for the Avenue number nine to net his seventh goal of the season. And just a minute later Bradford had a second after good play from Port Vale loanee Kelly saw him deliver a great cross from the left which Johnson thumped home on the volley. Brooksby then delivered a deep free kick which was met by James Knowles, but he headed just over the bar as Avenue looked to further extend their lead. Nicky Wroe then delivered a decent corner kick from which Brooksby and Vidal both saw volleyed efforts well blocked away. Boyes twice came close just before half time as first his driven effort took a deflection and trickled just past the post, before he turned and hit a low curling effort towards the bottom corner from 25 yards which Mark Halstead beat away. Straight after the restart Boyes was at it again as he almost got in behind but some good defensive covering denied him the chance to get a shot on goal. However just six minutes into the half Avenue sealed the victory, excellent play from Brooksby saw him work his way into the box, Vidal’s initial effort was saved before Boyes chased the loose ball, firing it across the six yard box for Bradford’s number eight to touch home. Avenue then came close to adding a fourth, Ryan Toulson crossing to the back post where Johnson’s header looked set to find the net only for Dominic Smith to intervene on the line, with the visiting support adamant a hand was used. Bradford continued to look dangerous coming forward as Brooksby found Boyes, but the front man attempted a return pass when a shot looked like the better option. Knowles then almost gifted Southport a goal as he passed the ball straight to Sampson with the chance to run through on goal, but he hit a poor effort straight at Drench. The hosts’ had another chance as Alex Fletcher crossed to the back post where Chris Sang was, but he headed high and wide when it looked like he could have done better. Avenue did have the ball in the back of the net again as a bit of pinball resulted in a Jamie Spencer shot which Boyes prodded home from a yard, but he was well offside when the initial effort looked goalbound anyway. Boyes saw a header deflect behind for a corner before another brilliant move from Bradford saw Brooksby find Kelly whose powerful volley from just inside the box flew just over the bar. Southport should have pulled one back when Drench lost Lowe’s long range effort in its flight and palmed the ball straight into the path of Sampson, but he fired over from six yards when he should have hit the target. Avenue were determined to keep their clean sheet and denied the home side a consolation in added time, Drench saving brilliantly from Dan Cockerline before Mark Ross did well to block the follow up out for a corner. The result saw Bower’s men make it eight games unbeaten, with five wins, netting 10 goals in their last four away games. Bradford now find themselves in the hat for the third qualifying round draw on Monday lunchtime, with two rounds to go until the first round proper of the FA Cup.